Tolmiea menziesii – The Piggy Back Plant. One look at this fascinating indoor plant and you can see why Tolmiea menziesii is commonly called the ‘The Piggy Back Plant’. 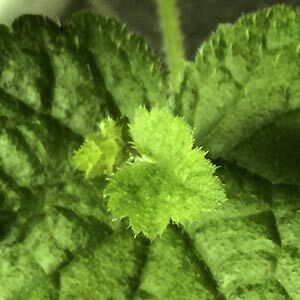 They grow new plantlets on the back of the older foliage, so it looks like one leaf is piggybacking another one. Although grown mainly as indoor plants, it also grows well in the garden especially in shaded areas. 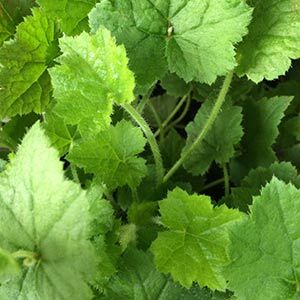 However it popular in hanging baskets and containers as Tolmiea menziesii is one of the easiest of all houseplants. A form with variegated foliage is also available. Like many indoor plants the ‘The Piggy Back Plant’ is naturally a shade loving plant. It grows in forested areas in filtered light or dappled shade. It also thrives on a humus rich soil, moist but well drained. Tolmiea menziesii showing the small plantlets ‘Piggybacking’ on the larger leaves. If you mimic these conditions Tolmiea menziesii or ‘The Piggy Back Plant’ will thrive. Light – Filtered. Foliage – Mid green heart shaped with a fuzzy texture. Flowers – Small brown flowers in summer if grown outdoors. Indoors flowering is limited if at all. Fertiliser – Indoors and in hanging baskets, an application of a liquid seaweed fertiliser every two weeks will help promote good growth. In good soil outdoors an application of a general purpose slow release type fertiliser is adequate. Overwatering can be an issue, always allow the soil to dry a little between waterings. Snail and Slugs – Treat these in the normal manner. Despite its many attractions, Tolmiea menziesii or ‘The Piggy Back Plant’ has fallen out of fashion recently, it was widely available for sale at good nurseries for many years. They are easy to grow by division, or from striking the plantlets.